Our new report – The Corbyn moment and European socialism – takes a fresh look at the critical role that a Jeremy Corbyn-led Labour government could play in transforming Europe’s politics, working from within the EU. You can read it in full here, and order paper copies by emailing info@anothereurope.org. Taxing multinationals, including harmonising corporation tax rules and clamping down on tax avoidance. Until now the arguments against Brexit have been largely ‘negative’. They focus on how bad Brexit would be for Britain. 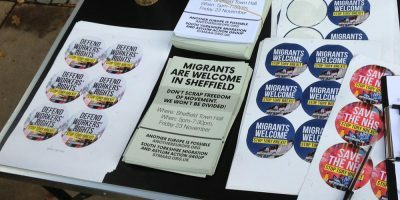 We believe there is a quite different argument to make about how good a Labour government inside the European Union (EU) could be for Europe and by extension for addressing the problems of globalisation. The referendum result, at least for voters in some Labour heartlands, represented a rejection of the establishment. The problem with some Remainers is that they often seem to be demanding a return to the pre-referendum status quo. If Labour wants to change the status quo for the better (and not for the worse as it will do with Brexit) then the key is tackling the problems of inequality and deprivation, which are inexorably linked to free market globalisation. 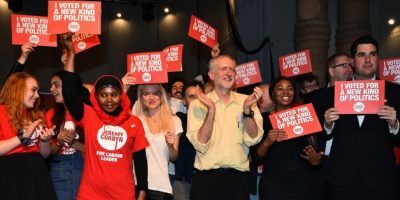 In his speeches, Jeremy Corbyn has rightly emphasised the need to tax multinational companies, to control the volatility of financial markets, address climate change and end global conflicts. At the very least these measures would require extremely close cooperation between a Labour government in Britain and the European Union to implement them. But this would, in turn, require a high level of agreement amongst the EU-27, which is unlikely to be forthcoming given the (rightly) bold nature of some of these proposals. A Labour government would need to directly lead a fight for these proposals across Europe. Ultimately this means building a mass movement for these goals, working with other parties and social movements to forge a new political consensus. The reception Corbyn received when he addressed the socialist group in the European Parliament underlines the possibilities for radical change in Europe. 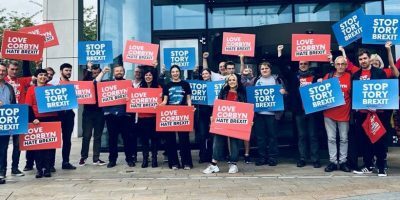 With Labour’s sister parties in crisis and crying out for new ideas and direction, a Corbyn government is in a unique position – indeed it may be a once in a lifetime position – to catalyse transformative change across Europe. The European Union is in a state of flux, in which its policies towards free trade, globalisation, peace building and the environment are all being redefined. Progressive outcomes for the whole of Europe would receive a huge boost from Labour leadership. If the Labour party allows a damaging Tory Brexit to take place, it will lose its chance to play this transformative role for Europe and for the UK. 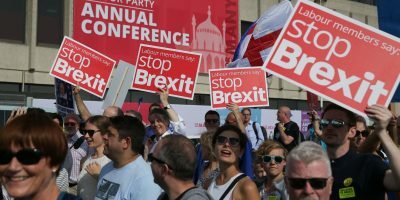 Instead of being able to concentrate on leading reform domestically and internationally, a post-Brexit Labour government would have to use all its energy to fend off predatory action by larger economic blocs or financial markets, and unpicking trade deals with the likes of Trump that the Conservative party will have left as a poisonous legacy. The stakes really are this high.